OXFORD – Callyn Martin wanted to make up for an error she made that led to the game-tying run in the worst of ways. She got her wish in a situation she always dreamed of being in. 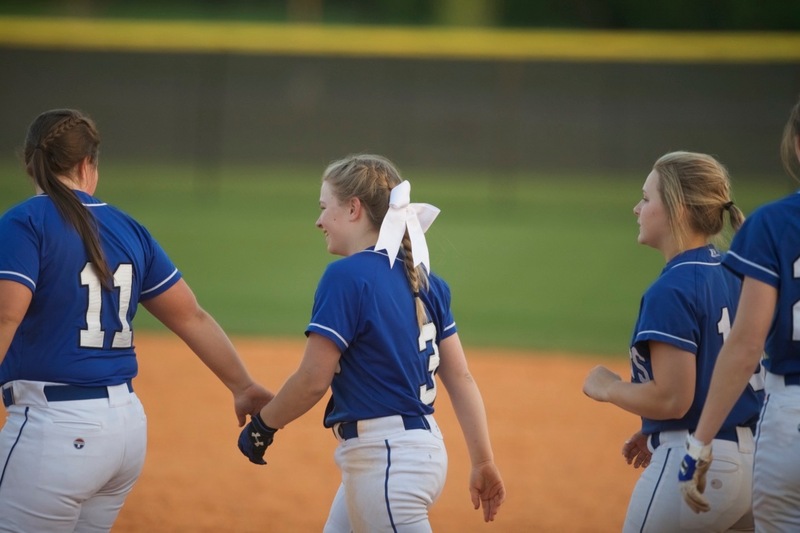 The eighth-grade infielder rolled a bases-loaded single under the third baseman’s glove with two outs in the bottom of the fourth to score Lily Ponder from third and give third-seeded White Plains a much-needed 6-5 victory over Weaver in the Calhoun County Softball Tournament. The hit, her second of the game, helped the Lady Wildcats snap a four-game losing streak and redeemed Martin from a rushed throw in the top of the inning that allowed the Lady Bearcats to score the game-tying run. It was their first victory since March 23. White Plains now plays second-seeded Pleasant Valley in Thursday’s 6 p.m. winner’s bracket semifinals. Sixth-seeded Weaver plays Saks in a 4:30 p.m. loser’s bracket game. “I made bad throws and I knew I had to make up for them with a good hit in the game,” Martin said. “I just wanted to come up clutch with a hit and get a win because we haven’t had one in a while and we really needed one. Ponder started the winning rally with a leadoff single and Presley Whitten walked. After retiring the next two batters, Weaver intentionally walked Hannah Fortenberry to load the bases. Martin followed with her game-winning hit that rolled just out of third baseman Alexis Callahan’s reach and shortstop Jayden Forsyth couldn’t make a play. Weaver coach Gary Atchley said he didn’t walk Fortenberry to get to Martin. He just didn’t want to face Fortenberry’s hot bat, even though he knew Martin could be just as big a threat. He coached the young shortstop in youth sports when she was in the Weaver school system through fourth grade. Earlier this year Martin scored 18 points on Atchley’s Weaver girls basketball team, prompting some around the park Tuesday night to suggest Martin was Atchley’s kryptonite. The game set up as the best of a day filled with routs right from the start. Weaver scored three in the top of the first on an RBI-double by Callahan and a two-run single by Loralei Brown, but White Plains answered with five in the bottom of the inning. The Lady Bearcats added single runs in the third and fourth to tie the game. Fortenberry, Martin and Jordan Hinton all had two hits for White Plains. Whitten, Graci Surrett, Fortenberry, Hinton and Katy Rozell all had run-scoring hits in the first-inning rally. 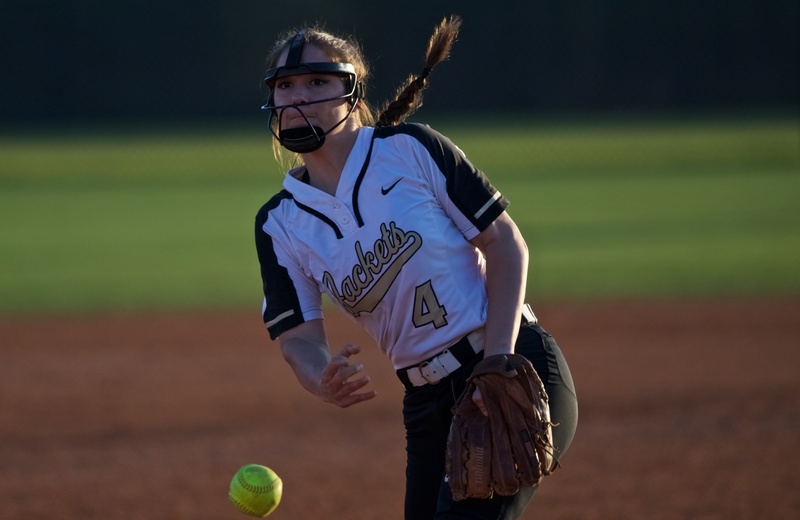 Oxford 10, Wellborn 0: Emily Thrasher pitched a five-inning no-hitter, facing one batter over the minimum, and was supported by three home runs. Brentli Champion homered twice and drove in five runs, while Sarah Howell went 4-for-4 with an inside-the-park homer and three RBIs. 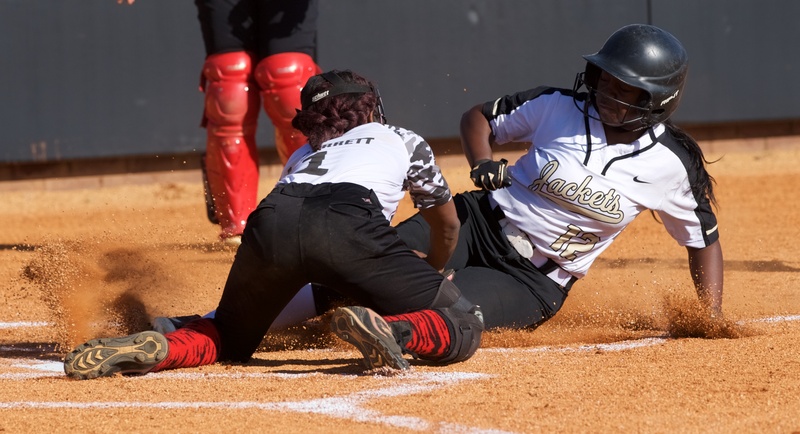 The Lady Jackets routed Anniston 15-0 in three innings in their tournament opener, going 16-of-19 at the plate. Skylar Street pitched a three-inning one-hitter. Emmali Meads went 3-for-3 with three RBIs, while six others had either two hits, two RBIs or both. In its two games, fourth-seeded Oxford hit 30-for-44 and hammered 13 extra-base hits. Alexandria 10, Jacksonville 0: Laney Dreyer pitched a five-inning three-hitter with 10 strikeouts. Maggie Phillips went 3-for-4 with three RBIs for No. 1 5A Lady Cubs and Leighton Sparks had two hits with three RBIs. Pleasant Valley 10, Ohatchee 0: Julianna Ballew went 3-for-4 and Savannah Williams drove in three runs for the Lady Raiders (23-10). Williams and Lindsey Pritchett were both 2-for-4. Olivia Jones and Madison Borders combined to blank the Lady Indians on two singles. Check out www.bjfranklin.smugmug.com for a photo gallery from the day’s games.